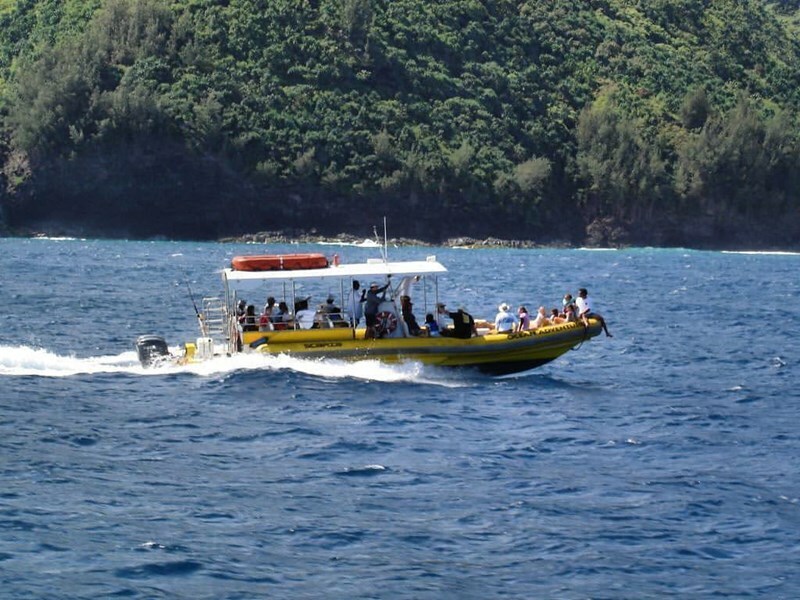 On our Snorkel & Sightseeing tour, you will be treated to fun filled ride to the Na Pali Coast on the Northwest Side of Kauai. 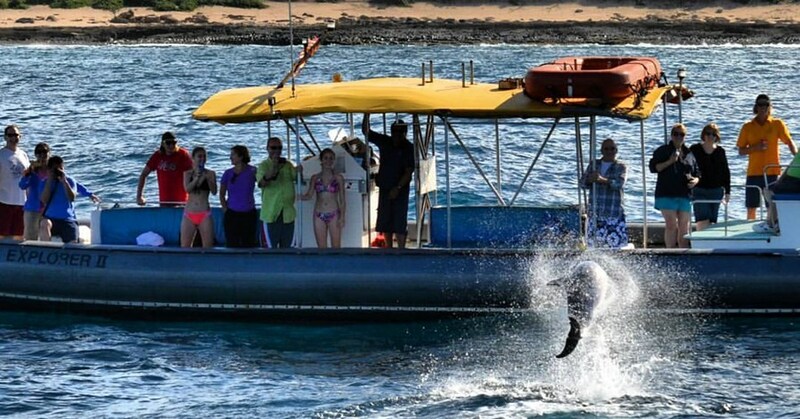 In the winter months, we have an alternate route to the south side of Kauai to enjoy up close and personal encounters with Whales, Dolphins, and Turtles that frequent the area. 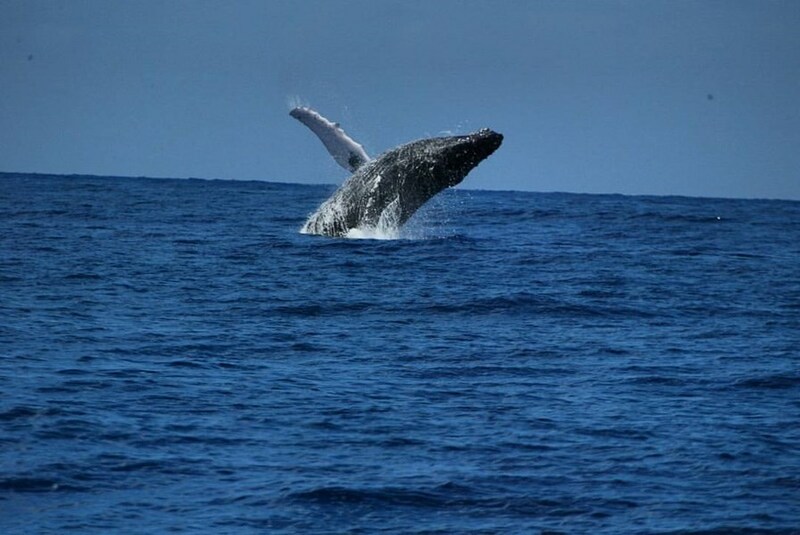 November through March we are visited by the Pacific Humpback Whales who come to the islands every year to mate and give birth to their young. During the tour we find a place to stop and have lunch on the water. 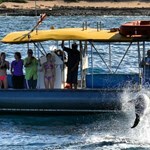 While stopped, you have the opportunity to Snorkel in the warm Hawaiian waters and see tropical reef fish face to face. The Captains are Coast Guard certified, local and practice a strict safety protocol. 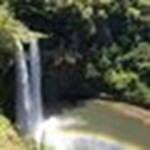 They have over 20 years experience and unsurpassed knowledge of the waters around Kauai including the best boating routes to get our passengers to the snorkel site.You can have a snorkel & sightseeing trip of a lifetime. 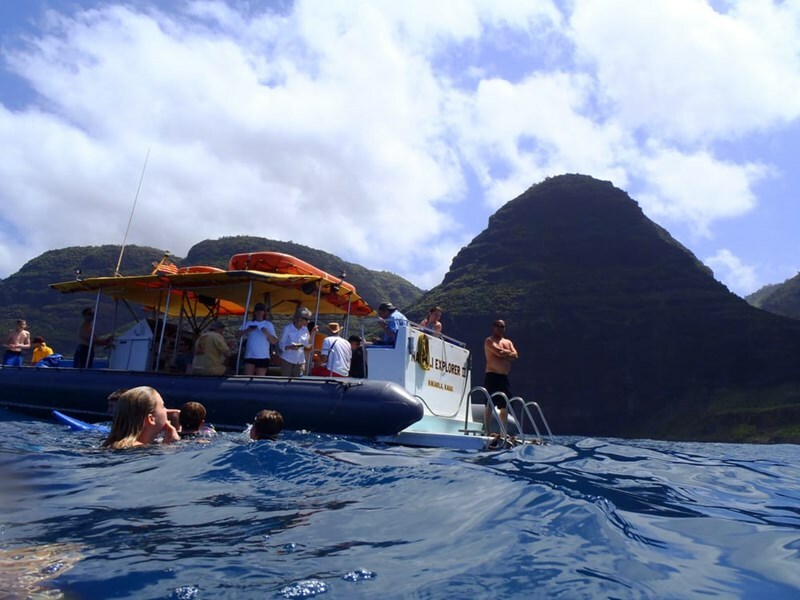 It is your choice to snorkel or just hang out in paradise. Reserve your adventure now! 149 $10 off if you book online! Daily 7:30 AM 4 hours 30 minutes Click the "book it" button to see live availability calendar & check in location directions. See map below for approximate location. 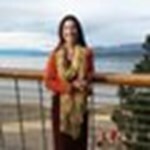 See booking page for exact terms, conditions, & cancellation policy. The real take home I got from this tour was the absolutely ridiculous wealth of knowledge Captain A'A had about Hawaiian culture, lore, way of thinking and sense of ohana. 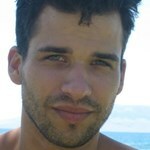 This guy has a multi cultural history, many many experiences, and is still 1000% Hawaii. Great boat ride, great sights, great company and great sandwiches too if I do say so myself. 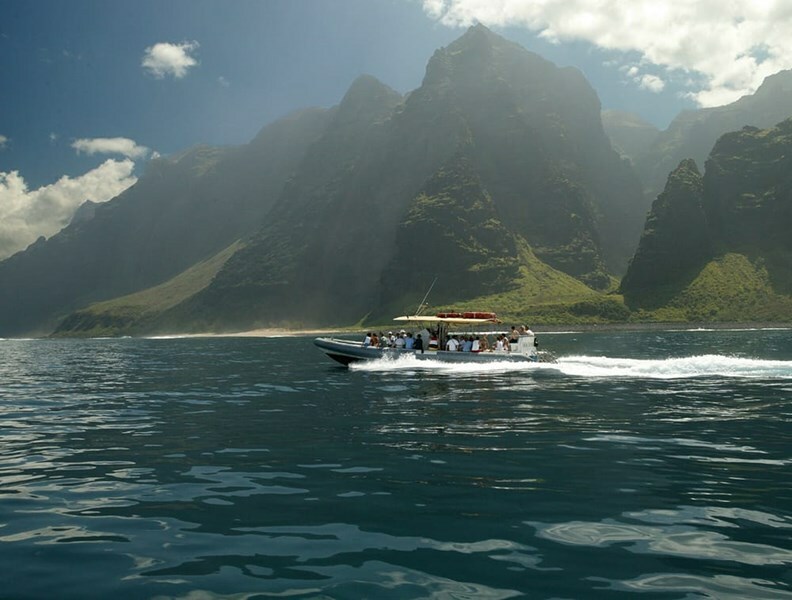 This is the Kauai Boat tour you need, no questions asked. Captain A'A and Captain Dave know Kauai. It was an awesome experience from beginning to end. 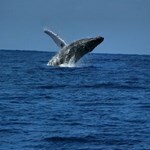 We saw Spinner dolphins on the way out and Bottle-Nose dolphins on the way back. The Bottle-Nose dolphins were protecting two babies-very cool. 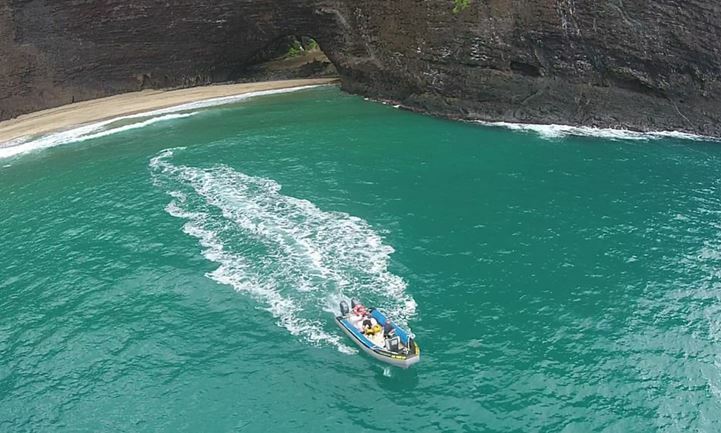 The beauty of the coast and the skills of the captains made for one memorable excursion. I highly recommend A'A and Dave!! 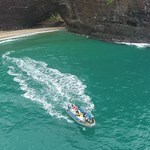 Can't say enough great things about our Na Pali experience! Kevin was our captain and his crew did an amazing job ensuring everyone was having a great time. Saw two schools of dolphins and sea turtles. The captain slowed the boat down so everyone could see them. 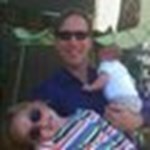 The only thing I would do differently next time is to bring a lightweight jacket for my daughter. The day was slightly overcast and she ... moregot cold on the way back. 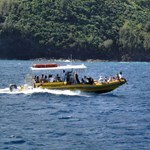 My last Na Pali tour was on a catamaran which I enjoyed. 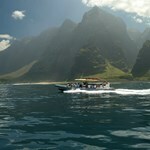 However, I will definitely be booking on the Na Pali Explorer in the future!! 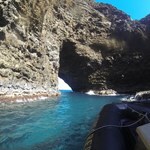 We opted to do this tour as the size of the boat would allow us to go in and out of caves on the coast. Everything was great! On the way out we saw some spinning dolphins which were super cool. Both of the captains were very knowledgeable about the area and gave us lots of interesting facts. We ended up snorkeling on a reef where the water was calm and it was so beautiful! The caves were amazing, ... moreand we were even able to go under a waterfall. Of all the tours I did in Hawaii, this was the BEST LUNCH we had. The bread was amazing! Overall great trip definitely recommend. These guys are great. 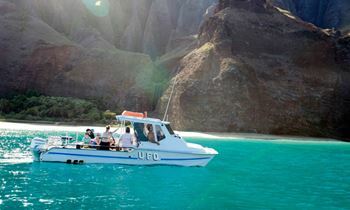 They do tours along the Na Pali coastline. They were incredible with my mother who has some health issues and needs a little more attention. The captain, A.A. and crew member, John, for our tour were knowledgeable and good with the boat and snorkeling equipment. We went on the zodiac. A bit of a wild ride, but worth it. We had a wide range of ages on our tour, from a preteen ... moreto someone in her 70s. 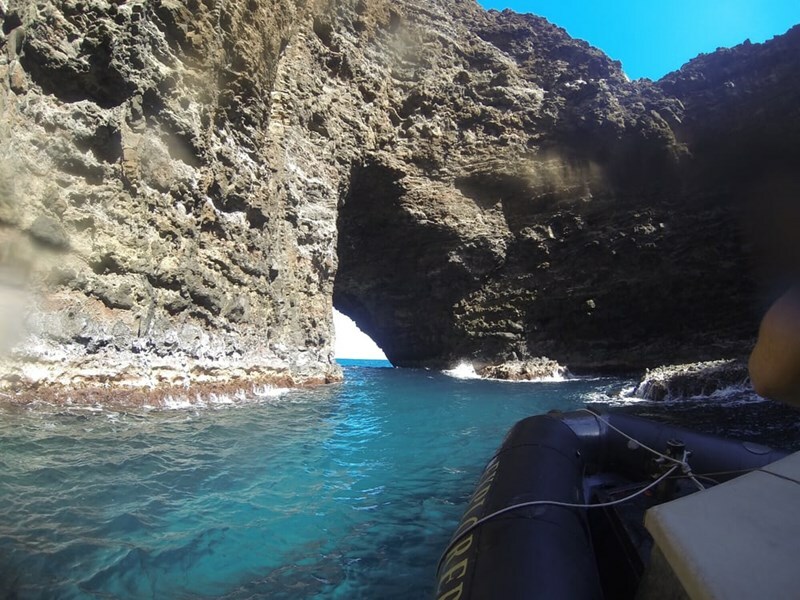 A couple sea caves, under a small waterfall, dolphins all around the boat, incredible views of the Napali coastline, topped off with a beach landing for the lunch they provided and snorkeling. 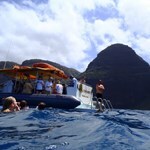 They also have a tamer tour, if you really don't want to be on a Zodiac. They have a dry storage box for your items during the wet moments. 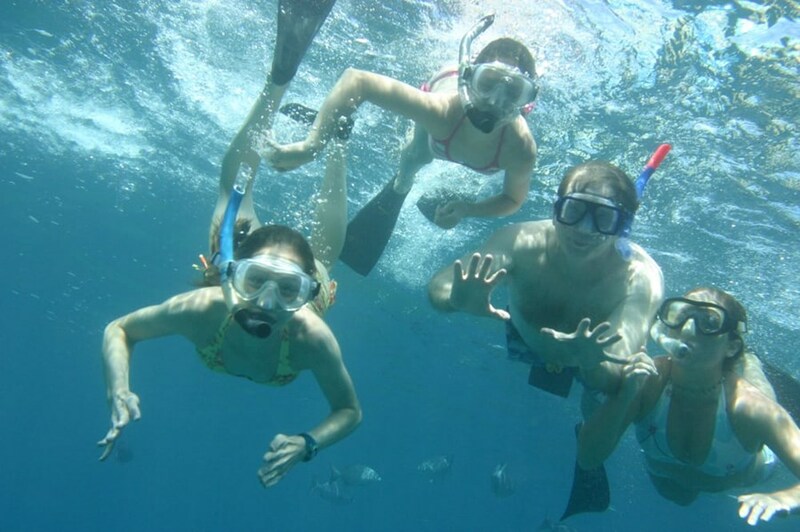 Best items to bring: lightweight camera with video capability, underwater camera, towel, water resistant sunscreen.